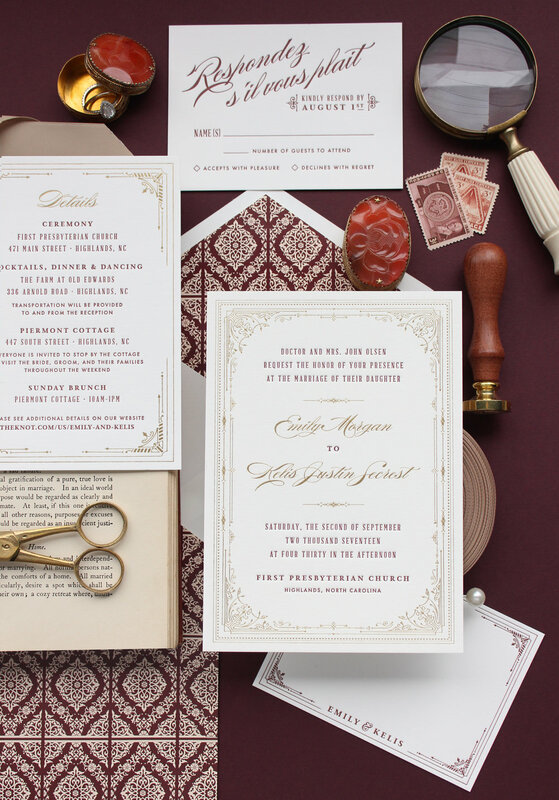 The Kelis wedding invitation suite's vintage border and eclectic use of typography add the perfect amount of drama. With a Victorian flair, the Kelis suite is classic, but modern. Our established collections are flexible enough to accommodate different fonts, text and page layout. To complement your wedding colors, we offer custom mixed inks, foils, and assorted envelope options. Other available items include information enclosures, RSVP cards, place cards, menus, embellishments and more.